"Metzger’s choices in instruments involve strings and necks but he is not content to leave them in their original state. On “1300”, his ninth solo album and third for Nero’s Neptune, Paul performs on modified guitar and 23-string banjo. The first of the album’s two sidelong improvisations, “Meend For Shaista,” displays the earliest of Paul’s experiments in modification, a revamped Yamaha guitar first displayed on his 2005 debut. The instrument has evolved considerably over the last decade. The neck is now covered in fretless steel, many sympathetic strings have appeared, and a ride cymbal has been attached to the bottom. Metzger applies a percussive string technique and an unorthodox flamenco approach with his right hand, while his gliding left reveals the hidden beauty between the notes. As the piece unfolds, Paul accompanies himself on tabla while simultaneously playing the guitar; it is at times hard to believe the recording is a one-pass live improvisation made by a single player. On the second side, “Death’s Other Kingdom,” Paul breaks out his 23-string banjo. The banjo has extra strings added (including a zither-like spray of thirteen fanning out over the drum head), with the skin and sides of the banjo utilized for percussive effect. The piece begins with a slow-burning bowed section. Paul’s bowing has evolved from single-note glissandos into a full-neck chordal style, showing impressive strides in development and refinement. Echoes of North Indian classical music, twelve-tone music and Asian musical forms inform his work. Once the bow is set aside, Paul’s dexterous finger work and flat picking bring forth a thematic arc, building to blinding velocity as the piece comes to a climax. 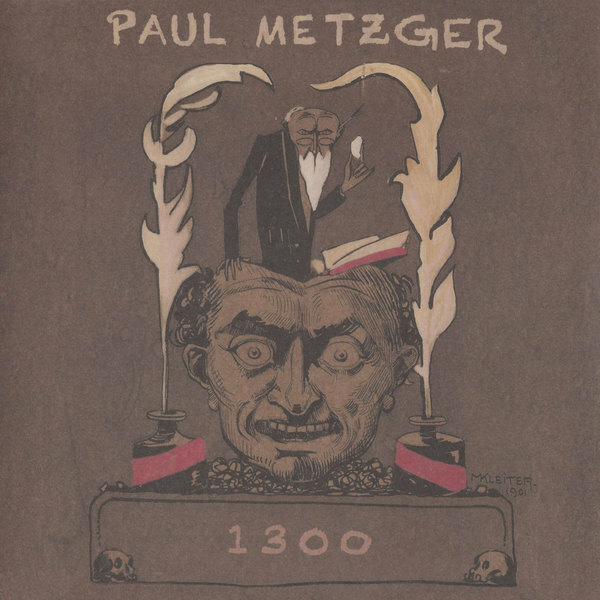 The cover of the album features the artwork of Paul’s paternal great-grandfather Max Kleiter, whose drawings appear in early issues of the German art nouveau publication “Der Jungend”. The piece dates from 1901, but is as timeless and singular in style as the music contained within."